Make sure you make the time for it. Both your funny bone and your grey cells will thank you for watching it. 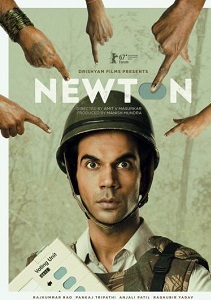 When Nutan Kumar, son of a middle class family in Chattisgarh, decides to change his name to Newton to avoid getting laughed at, he doesn’t know where it will lead him.